December lurks around the corner, and each day the weather gets colder and our commutes become more of a burden. Leaving our comfort zone behind for the nourishing independent ground called London was a welcomed and well-needed escape. Likeminded & Distinct — The Stack Awards 2017 in Shoreditch where around 33 indie magazine nominees compete for awards in 11 different categories. Check out @stackmagazines and their radio station for their weekly take on essentials in print. Autumn was still peckish in London but pockets of gloomy light couldn’t help but catch our eye. With this in mind, we took our chance to see as much as possible in the warmth of the sun. We took a day-long stroll from Mid-West London via Westminster and Covent Garden to Angel and headed South to the River Thames to make the most out of this bold last greeting of autumn. Westminster is all about English Victorian and Gothic style perfection. Covent Garden instead calls for your attention with squeezed boutique style houses framed in deep savory colors. Heading in direction of Exmouth Market and Angel, the city started to tell a more relaxed, modern and open story about culture where ricotta pistachio rosé croissants and truffel street pasta represent the new normal in taking a delish afternoon break. Over the first mulled wine of the year, pecking at cheese, and enjoying some over-the-counter oysters, London left our heads and cameras whirring after our first glimpse into the city. 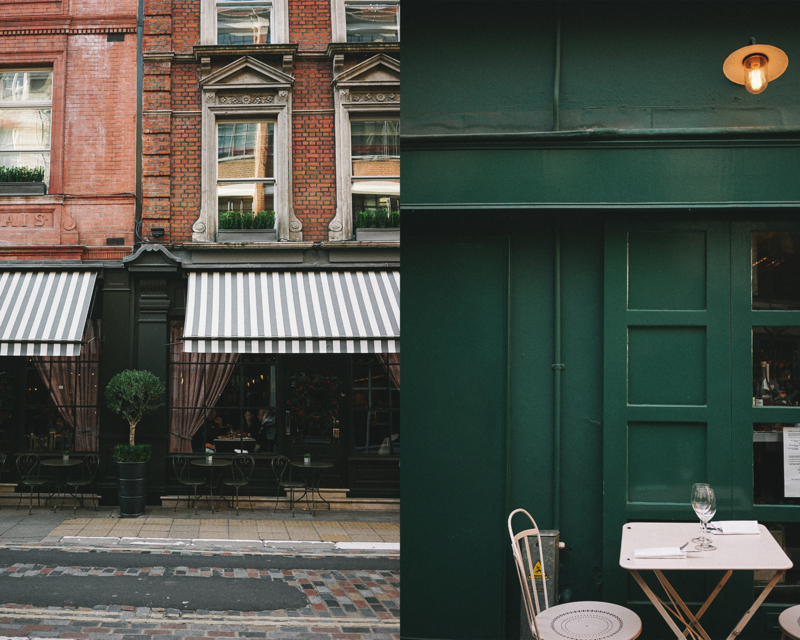 Between where Old Spitalfields Market’s shiny business towers merge into Brick Lane’s raw narrow street style atmosphere, the district of Shoreditch caught us with stories around every corner and provided the perfect area to stay. 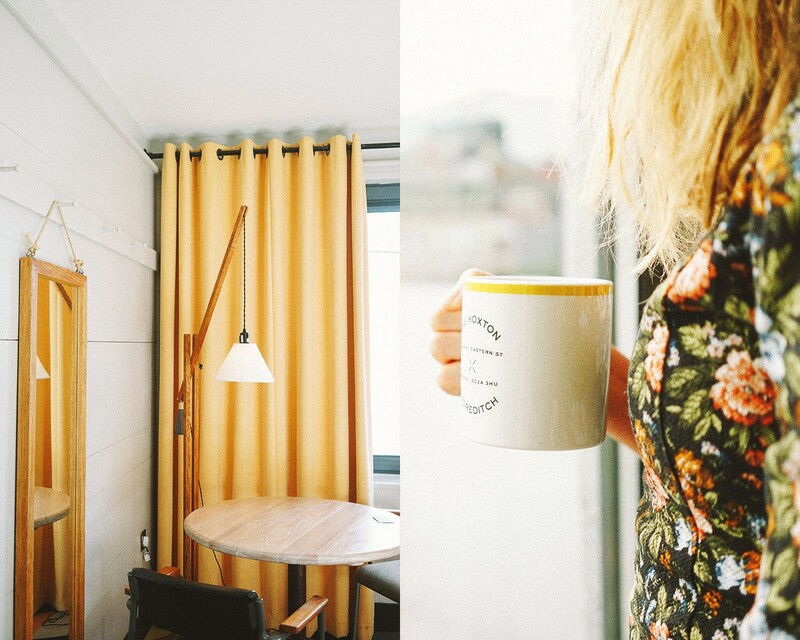 Checked-In @The Hoxton Shoreditch: the perfect spot to soak up inspiration in this diverse, raw, demanding city, and reflect on the next steps ahead for Salt & Wonder Issue 02 and side projects in the pipeline. What’s out there that triggers us? 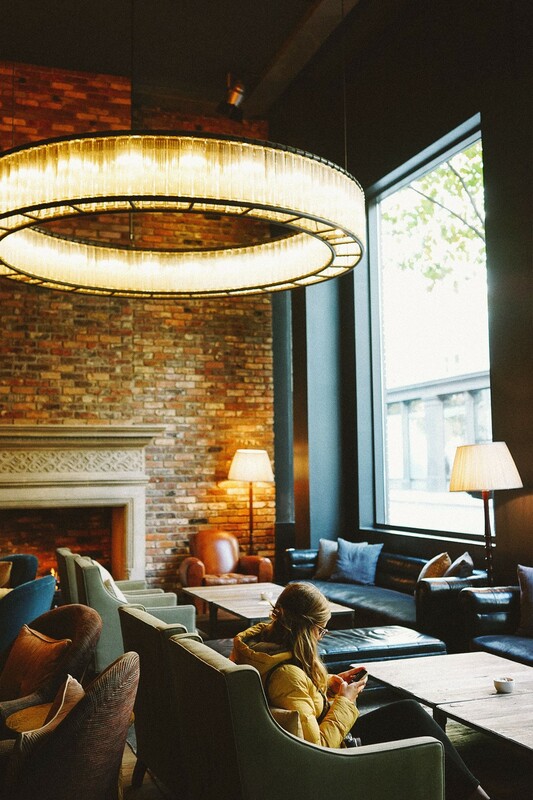 With an open lobby framed by bricks and industrial book shelves, and a warm fire, the Hoxton is a welcome dose of English hospitality. With fine service and details like a Breakfast Emergency Bag on your door every morning, it’s easy to imagine we are guests in an English castle. That is if there wasn’t this young and active crowd opening MacBooks, sipping on their coffee specialties and indulging over avocado toast with poached eggs and dried tomatoes. 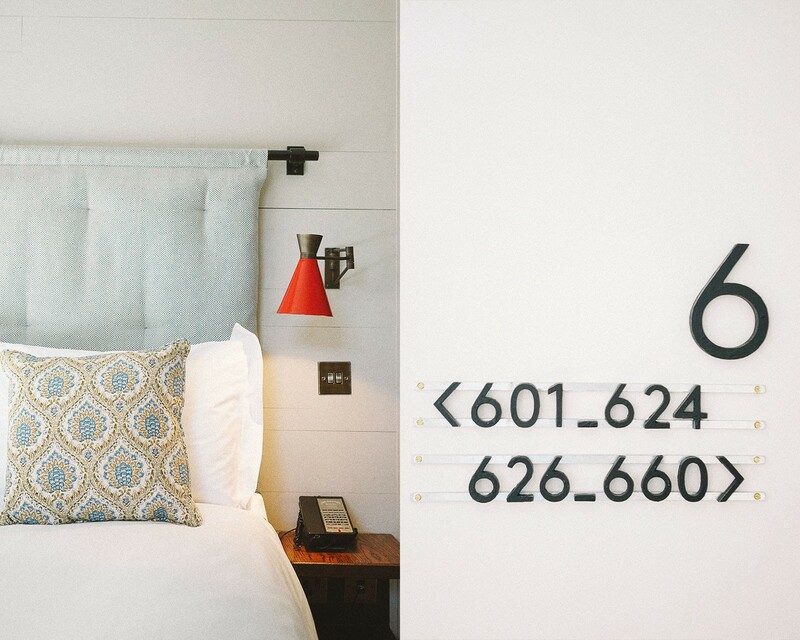 It’s the best of both worlds: modern amenities with old-world charm. 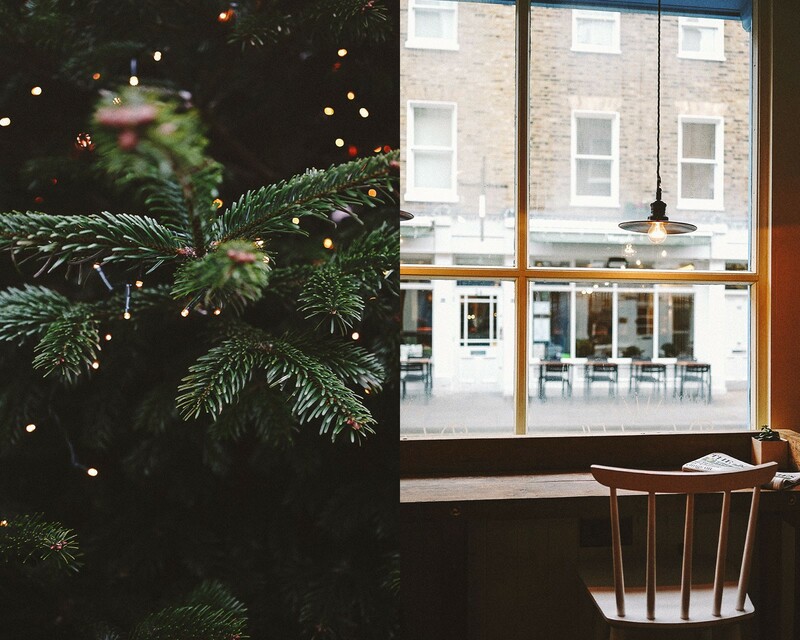 The location made it easy to explore the neighborhood between productive bursts in the Hoxton’s cafe. 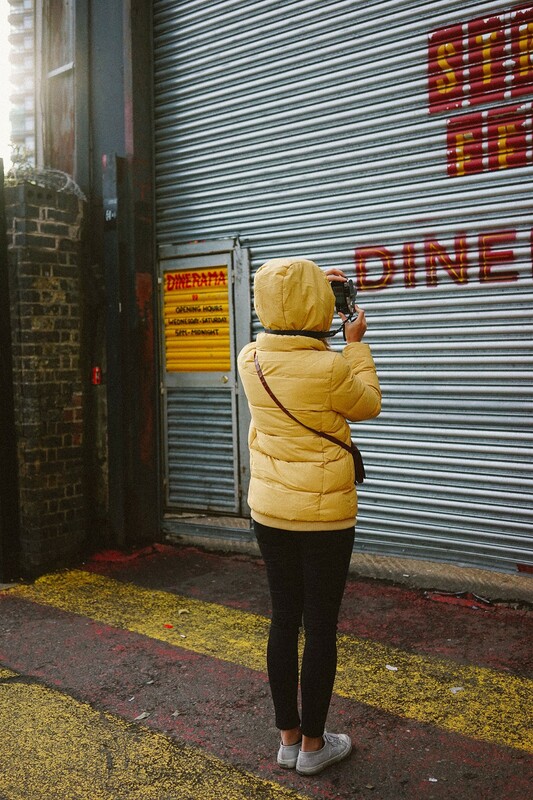 Just a camera, two souls and streets to guide us — Shoreditch didn’t disappoint. We were finding the smokey, rough London vibe in the crisp air and the day turned into a pure one. Raw, grounded, hungry: where surprising views of missing houses, pop-up stores, construction sites and bold signs mix with modern restaurants and a young busy crowd. The energy for creating is contagious. When we returned back to the hotel to cap off our day, our bones were stiff but moral was high. 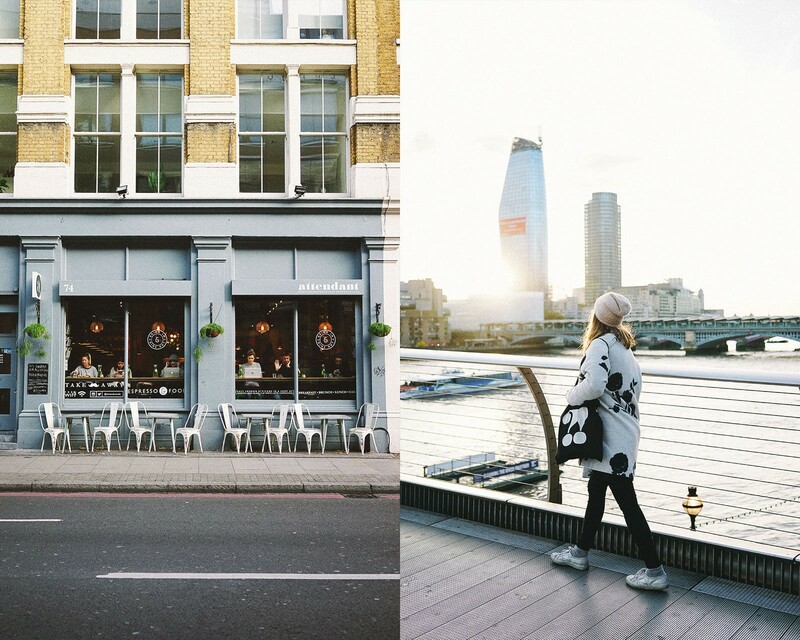 London’s bold, honest, and progressive spirit had provided us with a healthy dose of inspiration. Back home now, London’s creative spirit still resonates. And with the last month of the year ahead of us, we’re already looking ahead, grounded and hungry for more. 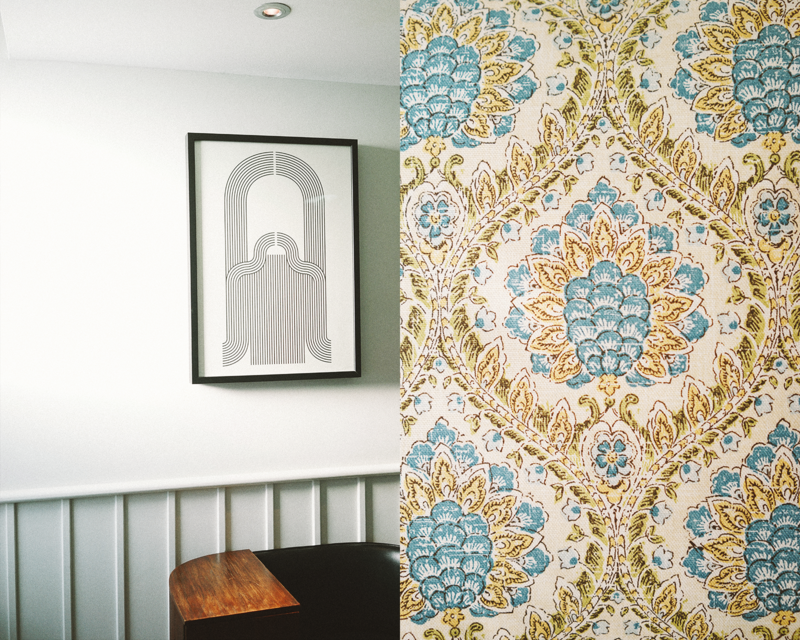 Getting casual while busy amidst long days at the Hoxton Café. For a change to a great cappuccino: try the house brew with milk on the side. 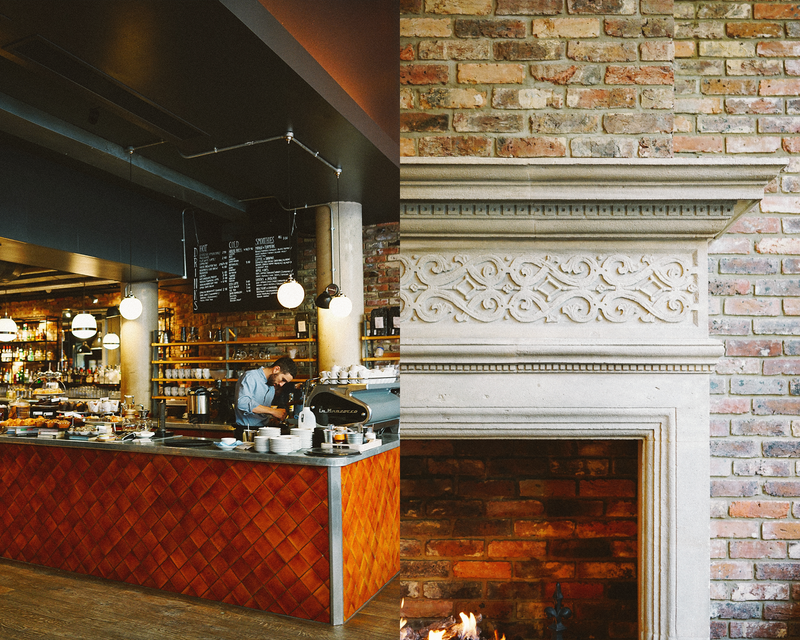 The perfect place to work in front of a warm fireplace, catch-up over drinks or have a moment to yourself in a relaxed but buzzing crowd howling in and out all day.